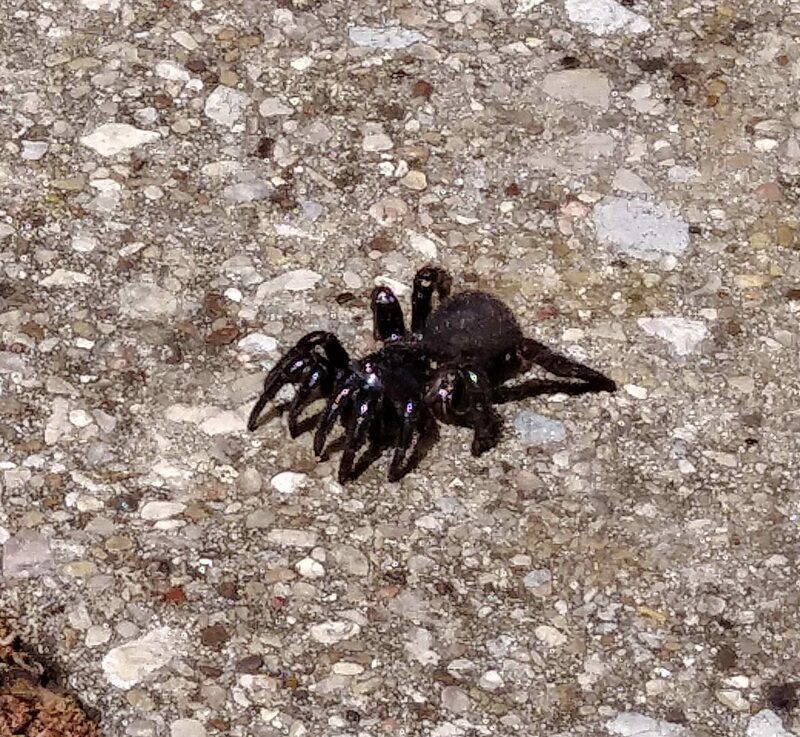 Black spider spotted crawling across our driveway. Would appreciate any suggestions as to what this is. the two segments of the body were equal in size. Jumping spider of some sort ? Hi, this looks like a Cork-lid Trapdoor Spider (Halonoproctidae), likely in the genus Ummidia but I can’t see some details well enough to be sure.